For the 15th consecutive year, tennis and bocce enthusiasts rallied for a cause close to their hearts at the Celebrity Tennis and Bocce by the Lake event. This year, the tournament, which took place in September, raised an incredible $54,000 bringing the cumulative amount raised over the past 15 years to over $750,000 to support cardiac care in the Southern Interior region. 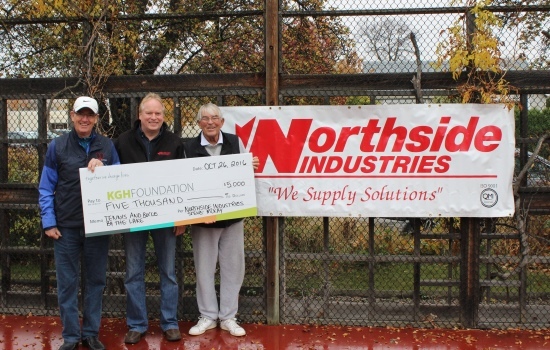 An additional $5,000 was also donated to the cause by the folks at Northside Industries, sponsors of the silent auction. Monies raised will be directed towards specific, live-saving equipment for the new Interior Heart and Surgical Centre at Kelowna General Hospital, as well as exercise equipment at the C.O.A.C.H. cardiac rehabilitation program. The aim is to enhance prevention, health and wellness for those living with heart disease in the region. Walley and his wife, Marietta, are well known in Kelowna for their effervescent spirit and commitment to philanthropy. This year, there is a special sentiment surrounding the event, as the community celebrates the life and legacy of Marietta, who passed away peacefully on July 21 after a courageous battle with cancer. In keeping with tradition, event organizers recognized two individuals for their contributions to the local tennis community. This year, Johnny Vesterinen and Paul Byrne were honored for their work with tennis youth, passion for the sport and their musical talents shared over many years.